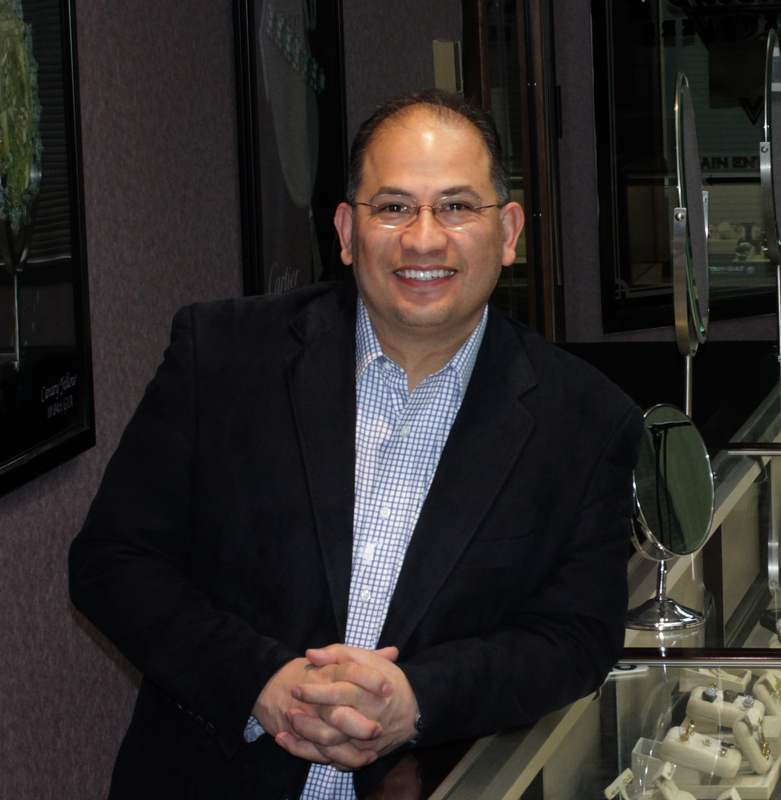 Sergio Nuncio is a self-taught diamond buyer, watch collector and estate jeweler. His passion began when he was a very young 17 year old man working in a pawn shop and would collect watches he liked that people brought in to sell. At the time, Sergio didn’t know their worth, just that he enjoyed them. One day, a customer came in and offered to buy the watch off his wrist. At first, Sergio resisted, but eventually, he relented because the offer was too good to pass up. The following week, that same customer came back to the shop and saw that Sergio had the same watch back on his wrist. Stunned he asked how that was possible. Sergio pulled out a gym bag full of watches. This man gave Sergio a book about vintage watches that changed Sergio’s view of estate and antique jewelry forever. Eventually Sergio started to trade in small diamonds, and he was introduced to Jonathan Siegel. Sergio and Jonathan did many small deals together before Jonathan approached Sergio and asked him to join him at Jonathan’s Fine Jewelers. Sergio didn’t hesitate, and in 1991, at the age of 19, they became partners and moved into a larger space that was shared with a man who was a jewelry designer. While Jonathan was selling the diamonds, Sergio was busy finding the diamonds to buy, and the dream team started to thrive. Sergio is smart, determined, fair, fun, warm, thoughtful and honest. He has never had a client walk out of his office who has had a bad experience. His specialty is the buying of diamonds from wholesalers and individuals, as well as buying estate jewelry and high end vintage watches for resale. Sergio is also building the eBay store, where you can shop online for all of Jonathan’s Fine Jewels from the comfort of your home. Sergio is married and has three children. Jonathan, his oldest son, works at Jonathan’s with Sergio, and Kiefer, his second oldest joining the Jonathan’s family after graduation. His youngest daughter is in High School. In Sergio’s spare time, when he isn’t collecting watches or checking out diamonds, he is growing coral in his salt water reef tanks or bay fishing. What Sergio loves most about the diamond business is the elusive luster of the diamond….learning about the history of the people who own the diamond, jewelry or watch that he is buying. Whenever a stranger walks into the office as a client to sit across from Sergio, they always leave as a friend, and this is why he is the number one diamond buyer in the country.